In this digital world, data is increasing rapidly with huge amount. People are choosing laptop to store their data in all formats. There are many security related reasons that third party also interested to know about your data and they try to hack it or get it in anyway. Due to this, there are many reasons that data become corrupt and user will be no longer has the access right of data. First, it is good to know about all reasons of data loss so that user can avoid those reasons. So, user must have to data backup on specific time. If you are not interested to create backup, then download data recovery software in your system. This is the software that helps you to recover all corrupted data in correct from in storage devices. Users have saved their data on many places such as PC, laptop, external hard drive, smart phones, memory cards, digital camera, SSD cards, USB flash drive, pen drive. 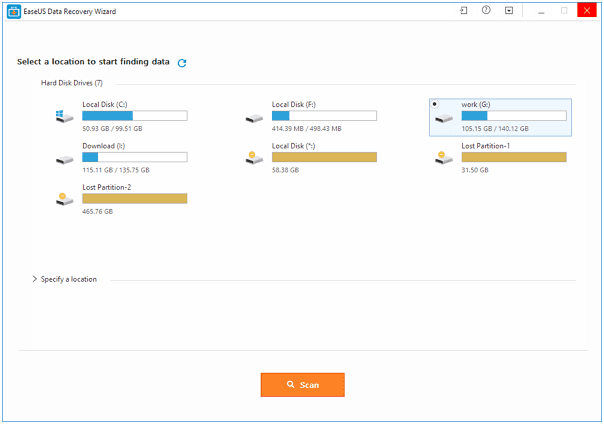 Using recovery software, data is recoverable from all storage devices and even recycle bin recovery is also possible. For example, user has deleted a file by mistake and it is needed by him immediately, then uses recovery software and get back file within less time.